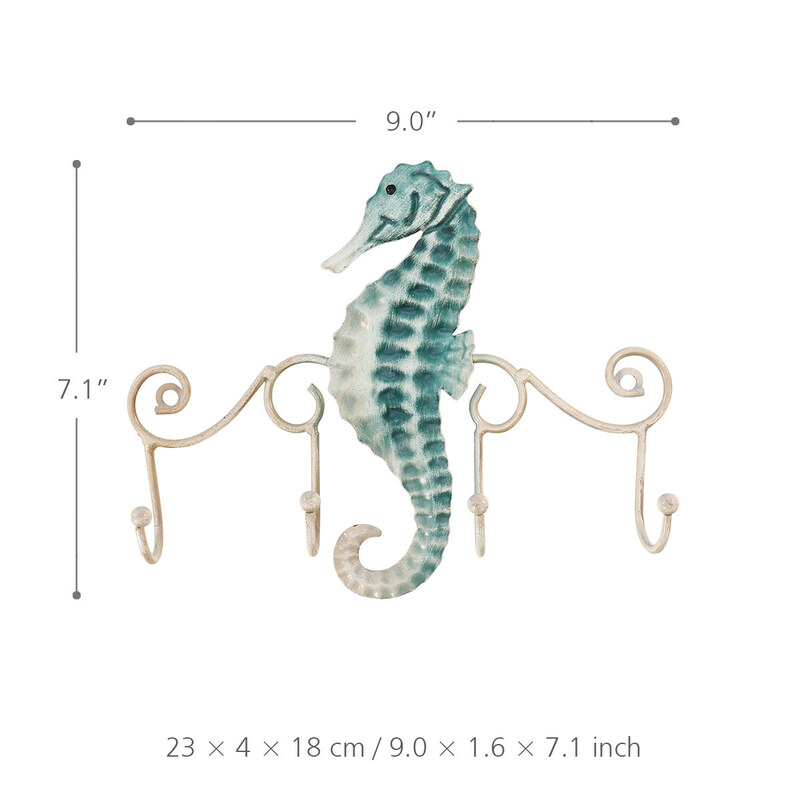 This is a practical seahorse wall hook, and it is attractive and matches for seaside home, beach houses or any other beach-themed decor. 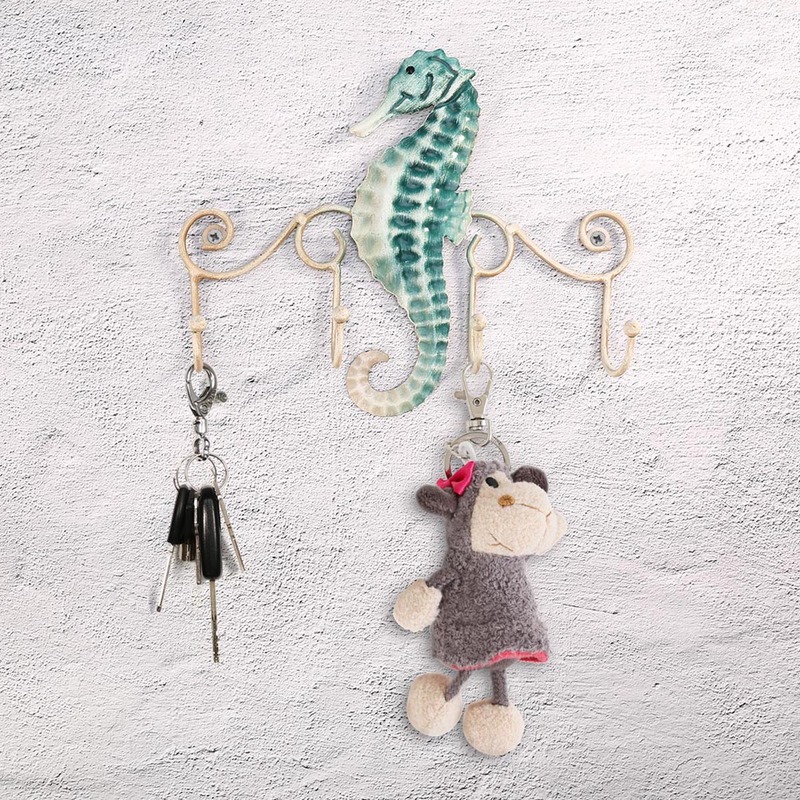 It beautifies and organizes your home by hanging your coats, jackets, hats and some small things with this decorative wall hook. 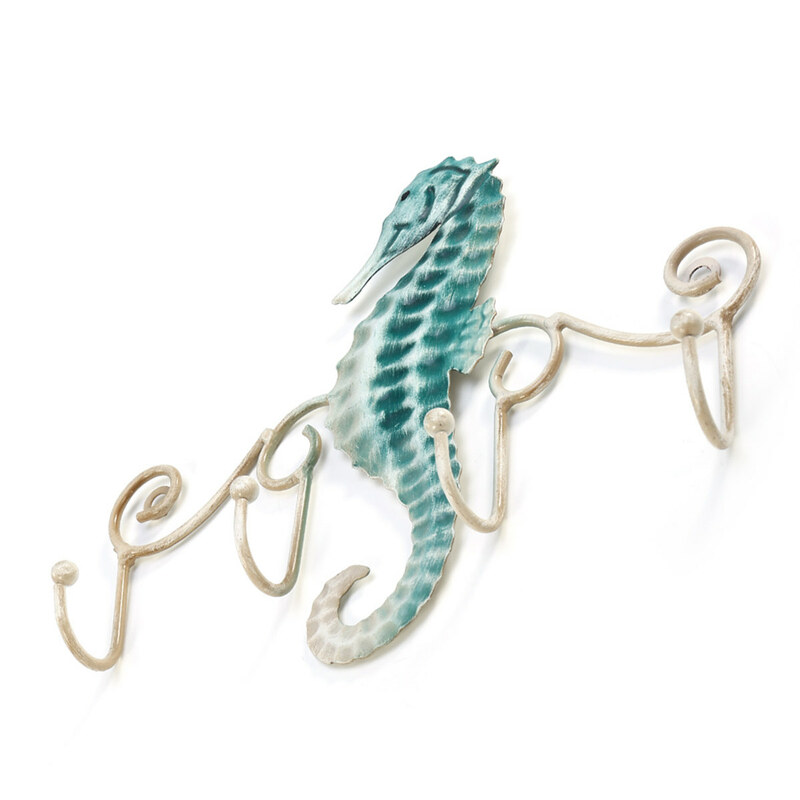 The vintage surface treatment prevents the hooks from rusting. It is easy to mount with the screws(included). 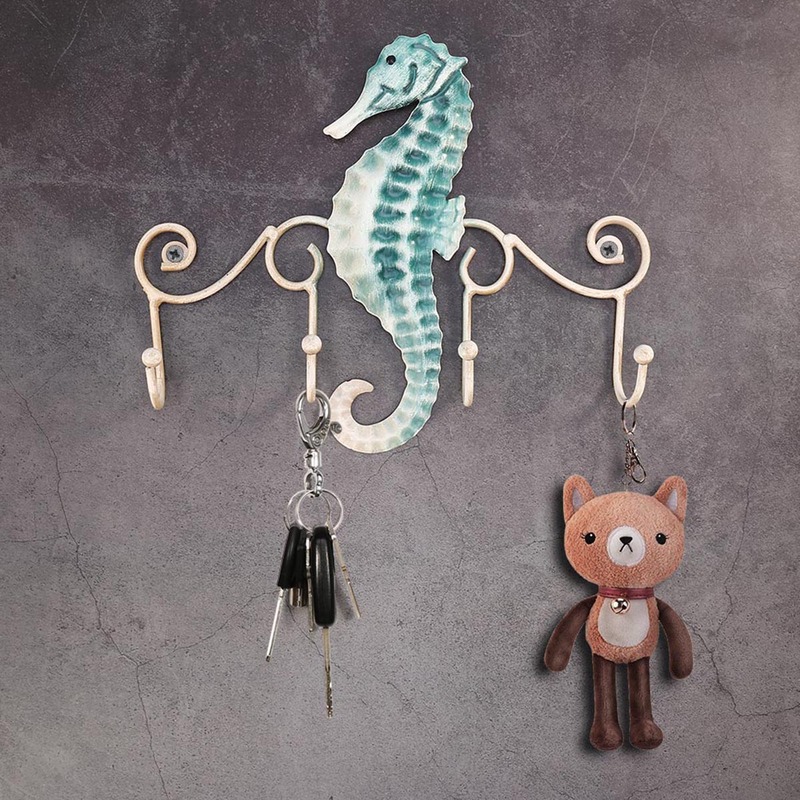 The hanging hooks can be a great addition to your home and add a great touch to your home decor. 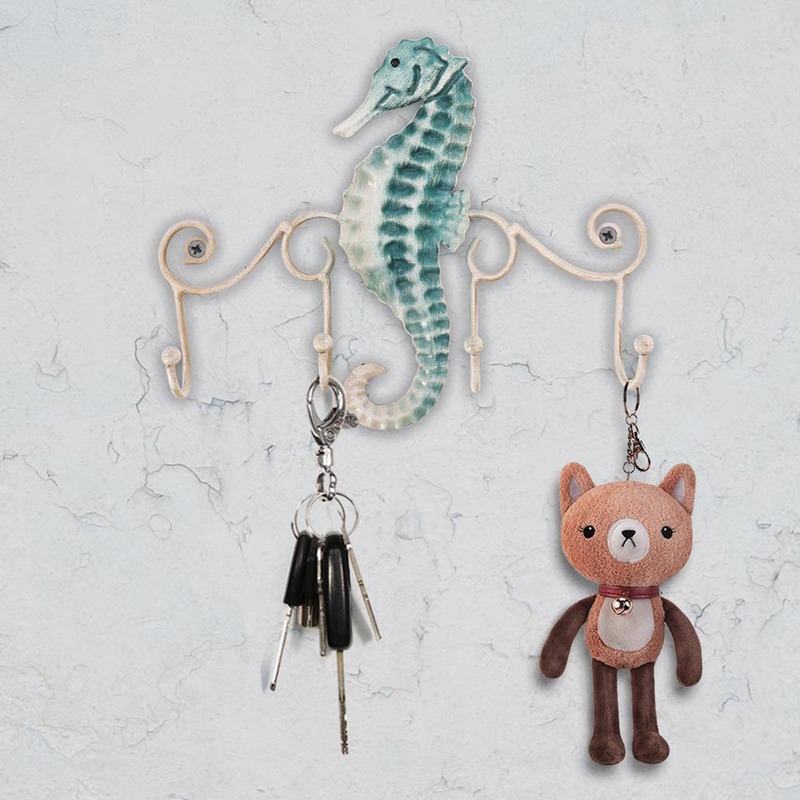 Usage: Use these cast iron wall decorative hook organize your keys, hats and towels. This wall mounted hanger has 4 hooks. Rustless: The special coating technology gives the hook vintage and rusted surface. So it will be rustless. Easy installation: It is easy to mount with included screws. Protection: Thick, rounded hooks will protect your belongings from damaging. 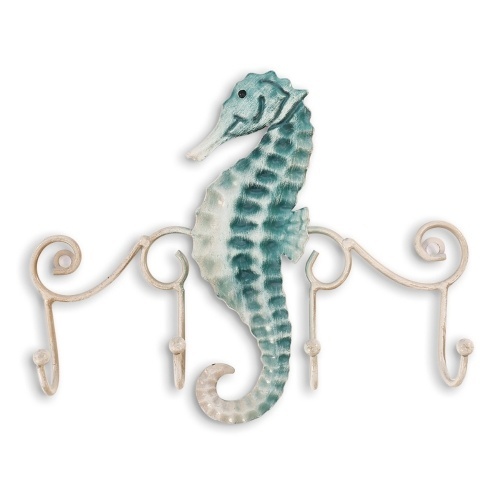 Vintage unique design: Our wall mount hooks can be a great addition to your home décor. It simply captures the attention of any one who sees it. 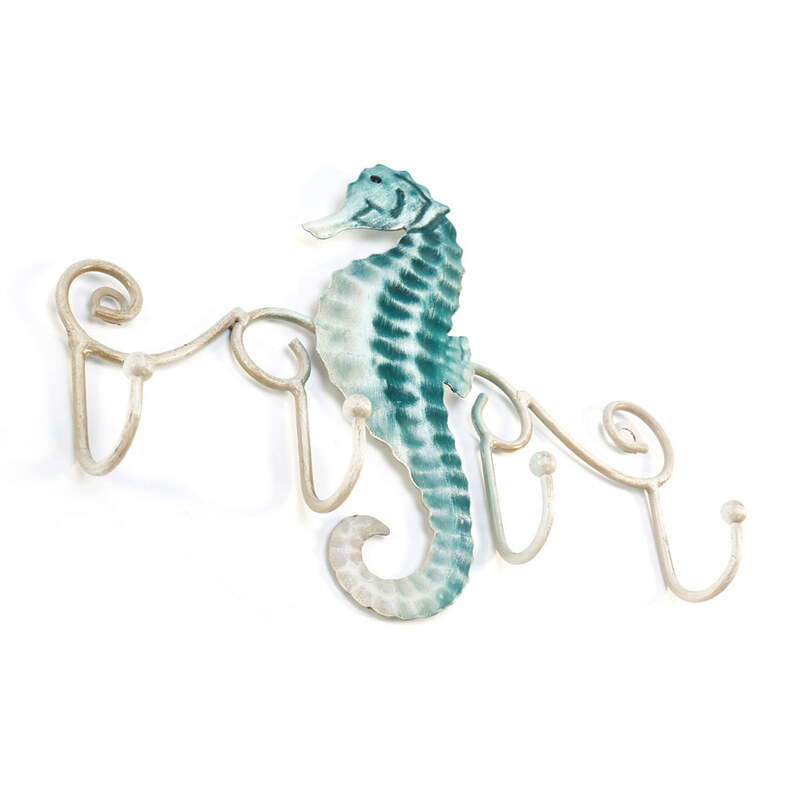 Our wall hooks have a classic touch to them.